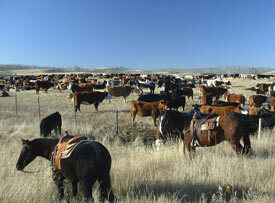 A coarse, textured grain concentrate "sweet feed" for horses, goats, beef and dairy cattle. A very versatile product that can be fed to horses, beef cattle, dairy heifers, or goats. Manufactured as a sweet feed to enhance feed intake. Fortified with minerals and vitamins through a base mix pellet to avoid nutrients separating in the product. Formulated at 11% protein to avoid protein overload in ponies, mature and inactive horses. A blend of cane molasses and food - grade vegetable oil is added to benefit texture, improve palatability, and increase energy. Only U.S. Number 2 corn is used by Producer Feeds - damaged grain or corn screenings are not permitted in the plant. 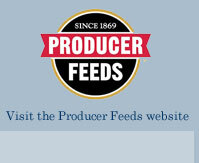 Oats used at Producer Feeds must exceed United States Department of Agriculture Number 2 standards. All oats are recleaned, aspirated, and screened to remove any impurities prior to use. Grain products, plant protein products, processed grain byproducts, roughage products, molasses products, calcium carbonate, salt, zinc sulfate, manganese sulfate, copper sulfate, ethylenediamine dihydriodide, cobalt carbonate, sodium selenite, vitamin A supplement, and vitamin D3 supplement, vitamin E supplement. This textured feed is intended for horses, beef cattle, dairy heifers and goats where good quality forage is available and nutritional needs are for maintenance and growth. Feed SWEET STOCK 11 at the rate of 0.5 to 1.0 lb per 100 lb of body weight per day. SWEET STOCK 11 should be fed with liberal quantities of good quality hay and/or pasture and the appropriate free-choice mineral-vitamin mix. Provide clean, fresh water at all times.